Santa Barbara Muralist, Danny Meza, who appeared on the cover of SB Independent was in a bicycle accident when I taxi cut him off on State Street as he was leaving the Funk Zone just finishing his latest installation a few weeks ago. A tattoo artist by trade , Danny Meza, has no other income and will be out of work and unable to perform his job for up to four months. He has already gone through two surgeries for his face lacerations as well as for his broken arm where a metal plate was needed to fuse the broken bones. Danny who has donated his own time and resources and energies to many projects around Santa Barbara at schools , community center and more now needs his community. 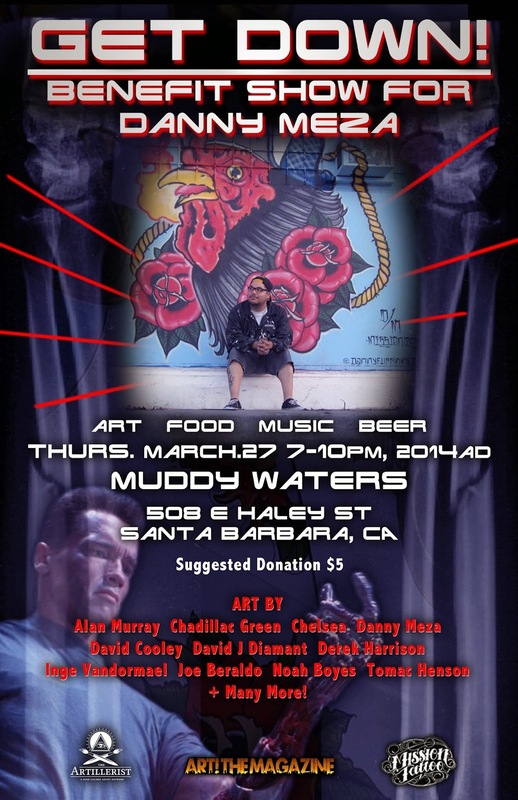 Andi Garcia, his art manager with The Artillerist and Muddy Waters have put together a FUNraiser art show and event slated for March 27th at 7pm . DJ Darla Bea of KCSB as well as DJ Tru have donated their musical talents for this event. 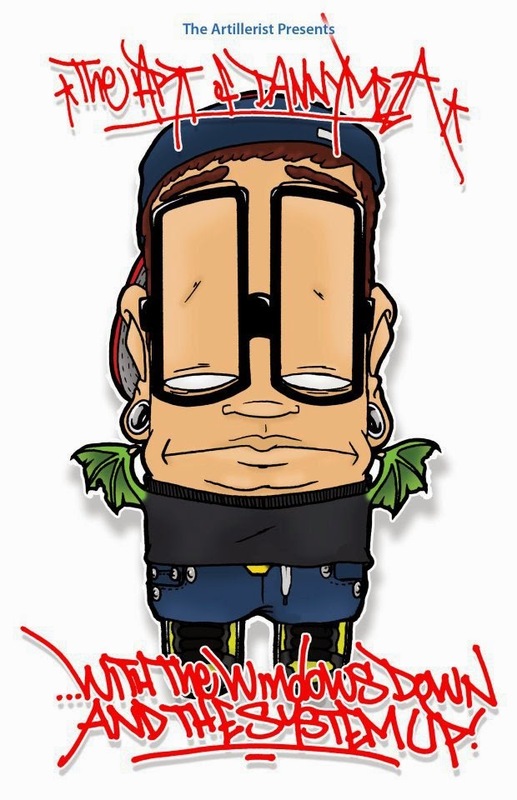 First 50 people will receive Danny Meza's coloring book "With The Windows Down & The System Up!" Many More Local and Global artists !